This unique place is a destination for tourists who like landscape photography. Here are many natural objects that can produce extraordinary photographic work. 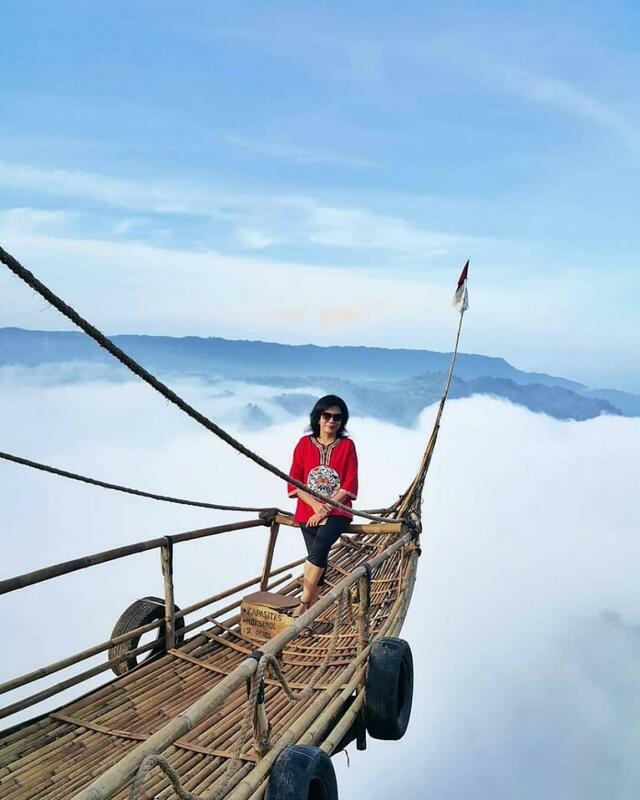 For more detailed information, this article will present routes, ticket prices and interesting object that can be found in the Tembelan Gorge Dlingo. This tourist attraction is in the Dlingo area, Bantul, Yogyakarta. From Malioboro, tourists can drive by car or motorcycle to the south as far as 26 km. If the road is not busy, the estimated travel time is only 30 to 50 minutes. The road to this tourist area is in good condition. From Malioboro street, tourists can immediately take the direction to the north square (Alun Alun Utara). At the post office intersection, turn left onto the Suryatmajan road. Then at the next intersection, turn to the right then move towards Imogiri. Continue to follow the Imogiri road until reaching the destination. The Tembelan Gorge is actually a hilltop between the surrounding hills. This object offers a beautiful view for tourists to enjoy. Here are a few things that tourists can do while they are there. In this place, there are several properties that can be used to be photo background. For example, a bridge that protrudes beyond the ravine, and is shaped like a bamboo boat. Taking a photo on this boat with the right angle will produce photos like Jack and Rose in the Titanic. In addition, there are several other photo spots. For example, a miniature airplane that looks like it flies towards the sky. Then the heart-shaped gate is very romantic because it has a blue sky background. Or a circle-shaped board that is often used as a place for photos in a yoga style. The hills around Tembelan Gorge Dlingo will beautify the landscape at sunrise. When the sky is still dark, the fog drops, then the sun emerges from behind the hill. This moment is very beautiful to be memorized with eyes and cameras. To enjoy the sunrise, visitors must arrive at this place before 05:30. Sunny weather will beautify the scenery because there are no clouds that blocking the view from the rising sun. Beautiful place and coffee is the perfect combination. After arriving and capturing the moment with eyes or camera, tourists can enjoy a cup of coffee with friends or family. The cold atmosphere in the morning will warm up with the presence of coffee. Landscape photographers would love this place. Here are many interesting photo objects. For example, the blue sky, green hills with a line of rivers that bend under the cliff. Or the photographer can also capture the view below from the height of the Tembelan Gorge. This tourism object gives a different impression from other places that are often visited by tourists. People who struggle to travel up the mountain will feel a little relieved by visiting this place. This is because the location of the cliff is quite high, but easier to pass and does not need to walk for hours to meet the view from a high place.